I had to snap this shot anyway. I'm not a fan of Mr Trump...at. all. I think he's a sputtering windbag of nonsense with a side of ridiculously embarrassing hair:/ That aside...what a nice place. 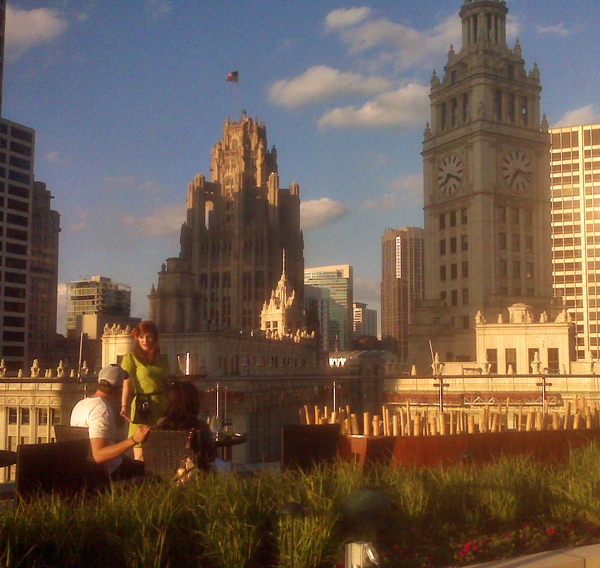 The far building is the Tribune Tower...the one with the clock is the Wrigley Building. I love both of them, but I've never seen them from this view...so. cool. Cool shot..good camera or no!